Last night, Carol Van Zandt gave members of the East Bay Modern Quilt Guild some fabrics from her new line called “Licorice Fizz” from Andover Fabrics. 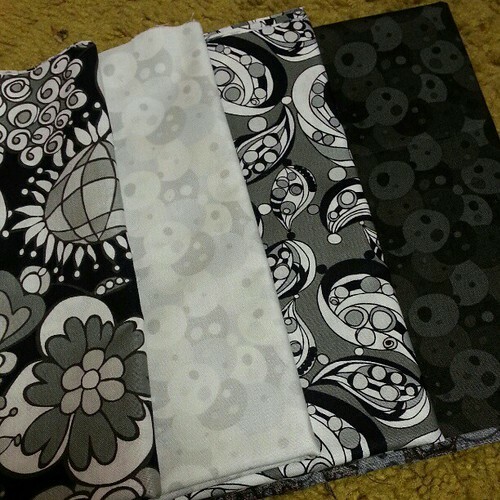 I especially like the black and light grey fabrics that look like faces. They reminded me of the soot characters from Studio Ghibli’s Spirited Away. 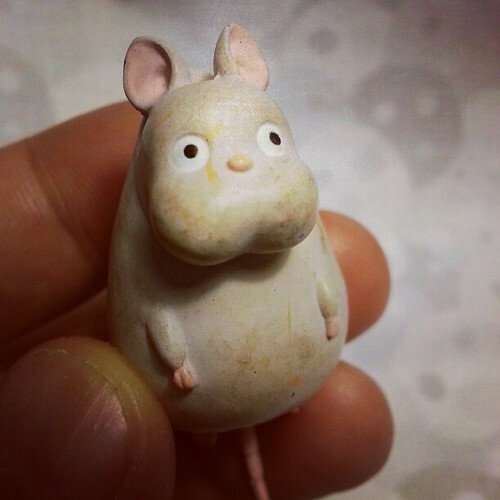 I looked online to see what they were called… and I discovered that a toy rat–which has been driving me crazy trying to figure out what anime he was from–is Bou Nezumi from Spirited Away!!! THANKS AGAIN CAROL!! !… The soot characters, by the way, are called Susuwatari. This entry was posted in Quilting and Sewing and tagged Carol Van Zandt, East Bay Modern Quilt Guild, EBMQG, fabric, Licorice Fizz, Spirited Away, Studio Ghibli. Bookmark the permalink.